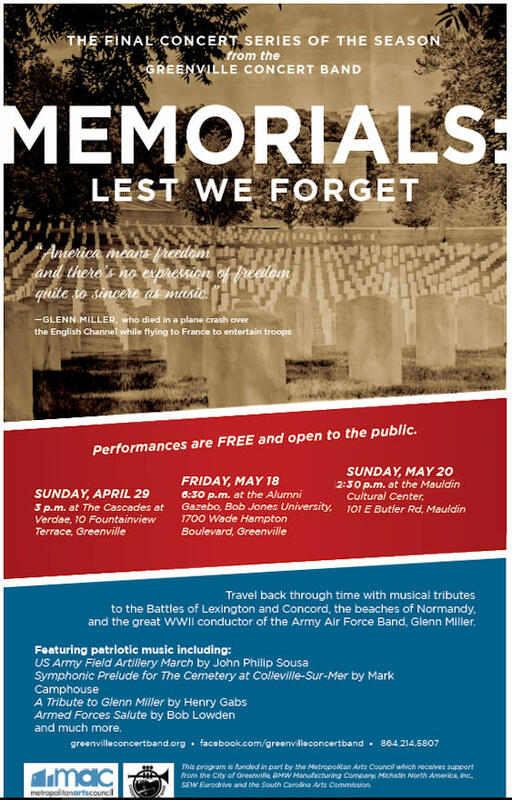 The Greenville Concert Band will travel back through time with musical tributes to the Battles of Lexington and Concord, the beaches of Normandy, and the great WWII conductor of the Army Air Force Band, Glenn Miller. These outdoor concerts are free; bring lawn chairs, or a blanket, and a picnic basket. Check www.greenvilleconcertband.org for details and updates.